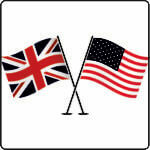 As our name suggests, our core business is translation services, but we also offer much more. Should you wish to discuss any of these additional services in more detail or to discuss a bespoke task, please do not hesitate to contact us at hello@surreytranslation.co.uk. 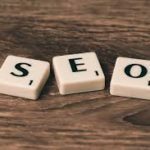 For businesses trying to reach an overseas audience, translating their website and their SEO campaign may be an essential part of their export plan. We translate website content into most languages, keeping in mind factors such as culture, humour, context and local dialects. We also offer SEO translation services so that the translated website ranks high in the search engine/s used in the target country. Localising SEO campaigns involves optimising your website for online search across your global target markets, while also being sure to include the localised versions of keywords within the page content, meta descriptions, page titles and image alt descriptions. To offer effective international SEO translation, we research the keyword trends in your target market and ensure your website is optimised for both your target audience and their search engines. You can ask for our SEO translation service in combination with a full translation of your website or as a standalone service. We provide desktop publishing (DTP) and typesetting services, where we set the translation into your document template and then have the final PDF checked by the translator or reviser to ensure that the end product is fit for purpose. Our clients use this service for brochures, marketing materials, operating manuals, training materials and a wide range of other documents. We would highly recommend this service for languages which use non-Latin alphabets, such as Arabic, Russian, Bulgarian, Chinese, Japanese, Korean, Hindi, Urdu and Bengali. Even though some of our clients employ their own DTP teams, they have found this service indispensable as it is very easy to insert the wrong text in the wrong place if you do not speak the language being typeset. In addition to our language-based services, we can also arrange for your documents to be notarised or legalised, depending on your requirements. 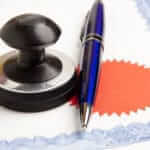 Surrey Translation Bureau has a long-standing relationship with a local Notary Public and is registered with the Foreign and Commonwealth Office for the legalisation of documents. More detailed information about the certification services we offer can be found in our guide here (available in English only). Please note that we are not legal experts and are unable to advise you in a legal capacity. Moreover, we can only provide these services in conjunction with a translation or proofreading project. The words localisation and translation are often used synonymously. At Surrey Translation Bureau, we use the term ‘localisation’ to describe the process of adapting a text from one language variant to another, for example, American English to British English. As well as addressing grammatical or typographic differences, localisation projects can also include adapting cultural sensitivities, currencies, date forms, addresses and phone numbers, plus any idiomatic expressions that are used in the target language variant. This service is often requested to ensure that the language used is completely focused towards the target audience and that there is nothing that could alienate your product or service from a potential market. The degree to which we localise is entirely dependent on our clients’ specific requirements. It can be as basic as adapting the grammar and spelling, or as complex as replacing country-specific figures with local area statistics. We use computer assisted translation software (called CAT tools, for short) for a number of our translation projects. This software can be used to analyse files and identify any repeated sentences; allows for the integration and creation of terminology glossaries; and compiles translated text into a Translation Memory file (TM). In order to make best use of this software, we require files in an editable format, most commonly Microsoft Office files or IDML export files from Adobe InDesign. Our primary CAT tool is SDL Trados Studio 2015, and all of our project managers are certified users of this software. CAT tools are also a vital component of our quality assurance procedure and are used to perform automated checks of spelling, grammar and formatting. We also use Verifika, a dedicated QA program, which acts as an extra double-check to make sure that everything in your translation is as it should be. If you have specific terms or phrases that appear in your documentation, a glossary of approved terms is an excellent way to ensure these terms are always translated according to your requirements. We can either work with your source language documents to identify key terms prior to translation, or we can work with previous translations and create a glossary based on terms already translated and approved by you. We can then integrate glossaries into our CAT software (see above) for easy reference during the translation process. Alternatively, we can combine previous translations to create a Translation Memory file (TM) for use with our CAT software. This translation memory eliminates the time-consuming task of referring to different reference files and enables us to maintain consistency between your translations. Another practical benefit for you is that once a TM has been created if you ask us to translate a file and we have previously worked on a job with similar or identical content, then our software will automatically detect this, allowing us to ensure that we maintain consistency between your translations. What’s more, this will also cut down on the time and cost of the project as a whole. Transcreation means adapting the message of an advertising or marketing text to a different language and culture, such that it evokes the same emotions and carries the same implications as the original text. It is a creative form of translation, similar to copywriting, in which the focus is on ensuring the effectiveness and resonance of the translated document, more than conveying the exact details of the original text. Our clients generally require this service for adverts, slogans, taglines, web copy and other product placement materials. You may have recordings of meetings, speeches or video content that needs translating. 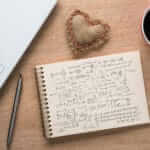 Before translation is possible, the content needs to be written down, or ‘transcribed’. We are happy to transcribe any of our supported languages and charge based on the time taken to accurately record all data in writing. We will always endeavour to use a linguist whose native language is that of the original recording.